You must consider the activity which is possible for you to carry out in conformity with your own nature as a delight - and that is always possible for you. Stoics feel. The stoic path is not one of emotional repression. On the contrary, Stoics expect that a well lived life will result in tranquility and joy. Still, people seem to equate Stoics, if they think of us at all, with Vulcan wannabes. I have nothing against Vulcans (other than their paternalistic approach towards humanity in the pre-Federation years) but extra-terrestrials are not good stoic role-models. Stoics are students of what it means to be human. The stoic motto, live according to nature, challenges us to learn how we fit into this ever expanding universe. This includes all the strange and messy interactions of life. It is true that we focus most of our attention on the amazing tool that is the human mind, but we understand that emotions are part of that mental landscape. Stoics give emotions their due. We just don't believe we owe them a lot. Stoics do have a distinct approach to the emotional life. For instance, we don't expect emotions to be good guides for behavior. They're better treated like the weather. During a hard rain you may need to grab an umbrella and drive slower, but you still need to get to work. The same goes for emotional storms. Stoics believe we can still act well despite feeling a "bad emotion." If you're extremely rude to your co-workers and, when asked why, you answered, "it's humid," people would look at you funny. Stoics would say that being a jerk to people because you're angry is equally nonsensical. First, your anger itself is probably due to adopting an unhelpful perspective. Second, in any case, a person has the option to act with virtue in all circumstances. I wouldn't argue if you said this list looks odd. It takes a lot of background info to understand how the ancients came to these conclusions, and even then you might decide they're nuts. 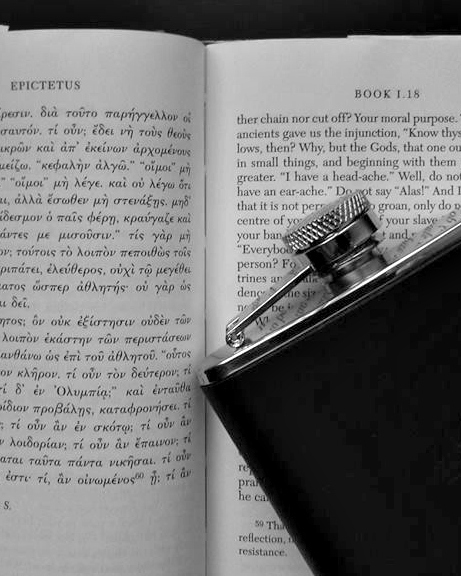 Check out this article on Stoic ethics if you want a taste. For my part, I want to point out that Joy, Pleasure, and the like are overarching categories. All the nuances of human emotion fit under one of those words, so don't worry about envy, greed, rage, malice, etc...,they're all accounted for. Oh and there is a fourth passion, Distress. Distress doesn't have an opposite. Distress is simply distressing. Let's look at Wish, because that's a weird name for an emotional concept. Why would the Stoics consider Wish good and Appetite bad? I think part of the answer is wrapped up in the Marcus Aurelius quote I opened with, specifically the phrase consider the activity it is possible for you to carry out. Stoics consider pining for things you don't have to be a huge waste of energy. Our definition of the passion Appetite is, "the irrational desire or pursuit of an expected good." Greed is an appetite for material things. Enmity is an appetite for revenge. These things take our energy and burn it on fantasy, or drive us towards unproductive actions. Stoics don't bet their happiness on things they can't control. Instead of Appetite, they Wish. Aurelius says, you must consider the activity...as a delight. When Stoics talk about emotion, they are addressing affect; the conscious, subjective aspect of an emotion considered apart from bodily changes. Appetite isn't the brief bodily reaction to seeing a person who is so very much your type. It's that feeling plus the thought that runs with it, says "dammmnnnnn," and then follows everything up with mental imagery. Stoicism councils that that mental component was a choice, an unhealthy one. We also claim that there is a better affect, Wish, that is more lasting and more satisfying. Consider the activity...as a delight, and that is always possible for you. So what is Wish? It's an affect that says, "it would be great if I had x, but my contentment is not based in x." It's a shift in perspective. Appetite claims that the things that surround me will make me happy. Wish says, there are a lot of awesome things out there, but that's not where I find contentment. Wish is a state of mind that rests in Stoic first principles like the only good is virtue and the only things under our control are our own actions. Stoics claim that, with the proper perspective, it is always possible to be content (we don't, however, claim that being a person who sticks to that perspective is easy). Wish, as opposed to Appetite, is an affect that provides fertile ground for wise actions. Caution v. Fear and Joy v. Pleasure follow a similar logic. Fear is an irrational aversion or avoidance of an expected danger. Fear tosses away our present contentment simply because something might take it away later! Caution understands that life throws curve balls and that it's our duty to be prepared but, once again, true peace isn't found in external things. If we are going to flourish we must approach the world with awareness, not wariness. The Stoic negative view of Pleasure is also due to pleasure's external focus. Stoic's seek to develop an abiding Joy, in place of fleeting moments of delight. Personally, I do not try to discourage myself from feeling pleasure. I am a fan of pleasure! I do try to remember that whatever pleasures I experience or seek will, by necessity, be transient and that it is completely possible to enjoy my life without such things. To do what is just with all one's soul, and to tell the truth. What remains for you to do but enjoy life, linking each good thing to the next, without leaving the slightest interval between them? That's where Stoicism leads, from one good thing to the next. How could we not be joyful? Posted in Stoic Basics, Stoic Perspective and tagged with stoic-saturday, mindset, emotion, stoic-saturday, mindset, emotion, stoic-saturday, mindset, emotion, stoic-saturday, mindset, emotion. April 6, 2013 by Matt Van Natta.